Set in 1999, Keanu Reeves stars as Thomas A. Anderson (hacker alias: Neo), a man living two lives; he spends his days working in a cubicle manning a computer, and at night he does a little hacking on the side. 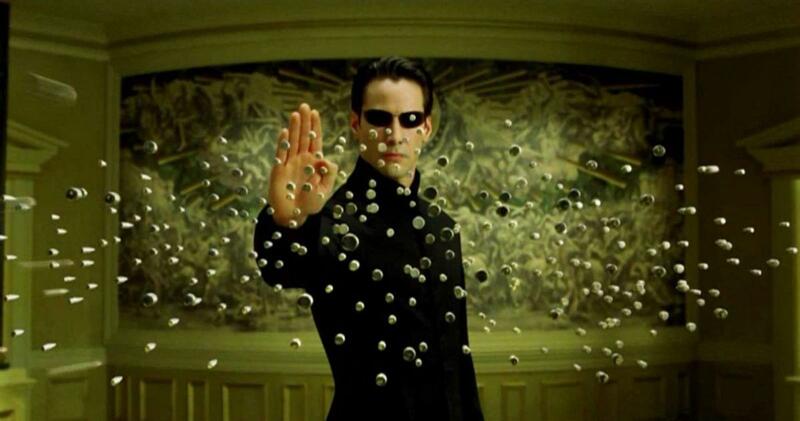 (Although, he may also really be a pawn in a giant virtual-reality game controlled by twenty-second-century programmers...) Neo believes that Morpheus (Laurence Fishburne), an elusive figure considered to be the most dangerous man alive, can answer his burning question -- "What is the Matrix?" Neo is contacted by Trinity, a beautiful stranger who leads him into an underworld where he meets Morpheus. They fight a brutal battle for their lives against a cadre of viciously intelligent secret agents. It is a truth that could cost Neo something more precious than his life. Also starring Carrie-Anne Moss, Hugo Weaving, and Joe Pantoliano. Doors 10:00 pm | Movie 10:30 pm *Start time subject to change.